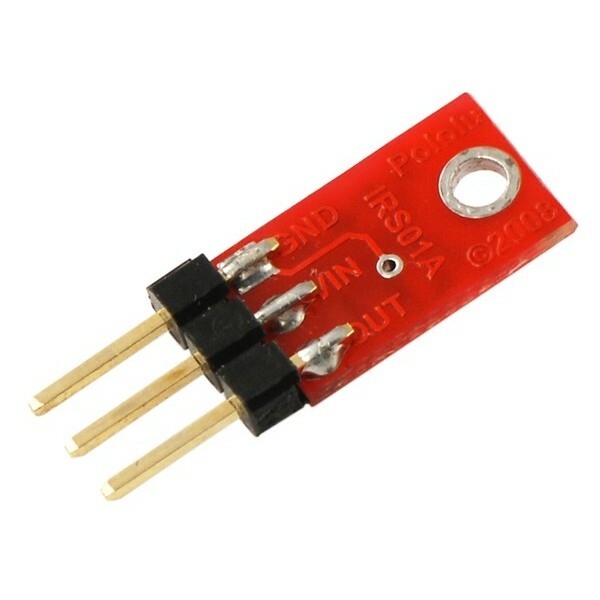 This item has been discontinued and replaced by the Pololu 1 Channel Analog IR Infrared Reflectance Sensor (2 pack). 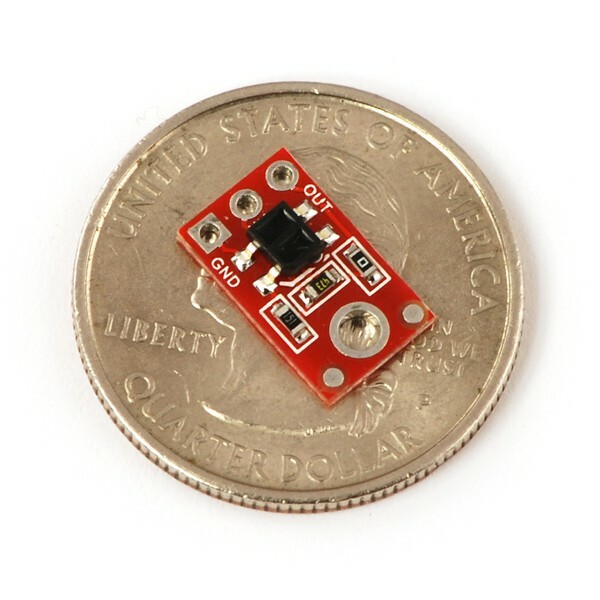 The Pololu QTR-1A Reflectance Sensor carries a single infrared LED and phototransistor pair in an inexpensive, tiny 0.5" x 0.3" module that can be mounted almost anywhere. This sensor is ideal for robot edge detection and line following applications. The reflectance measurement is output as an analog voltage. Connect the (VIN) and (GND) pins to a 5V power supply and the analog output (OUT) pin to an analog input on your robot's controller. Lower output voltage is an indication of greater reflection. 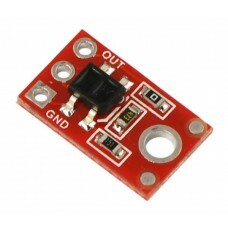 The output can also be connected to a digital input on your controller but the high to low trigger point will depend on the specific microcontroller used.